Children are the future of our community. Our collective well being is only as strong as the children we raise together. Healthy children and their families keep our community vibrant. Today’s world requires infinite challenges for children. The Child & Family Treatment Center of Central Clinic Behavioral Health, partially funded by United Way, provides mental health services to children, adolescents and their families in a variety of office-based and community settings. Our goal is to assist children to be emotionally and developmentally prepared to be successful in their school and home environments. Central Clinic Behavioral Health is a proud member of the Tristate Trauma Network and the National Council’s Trauma Informed Care Learning Community. Administrative Office Location: Helen Rose Ziegler Professional Building, 2825 Burnet Ave, 4th Floor, Cincinnati, OH 45219. We offer four programs and we welcome you to learn about each below. Location: Helen Rose Ziegler Professional Building, 2825 Burnet Ave, 4th Floor, Cincinnati, OH 45219. The Child & Adolescent Counseling Services (CACS) program, partially supported by United Way, goal is to help children and their families work toward regaining emotional health. CACS provides diagnostic evaluation and ongoing behavioral health treatment for children five to 18 years old. Our clinical specialists include child psychiatrists, clinical social workers, clinical counselors, child psychologists, case managers, and educational consultants. CACS also serves as a training site in these disciplines for graduate students from a number of universities. CACS uses a range of evidence-based treatment models. Therapists have also been trained in a variety of trauma informed models. 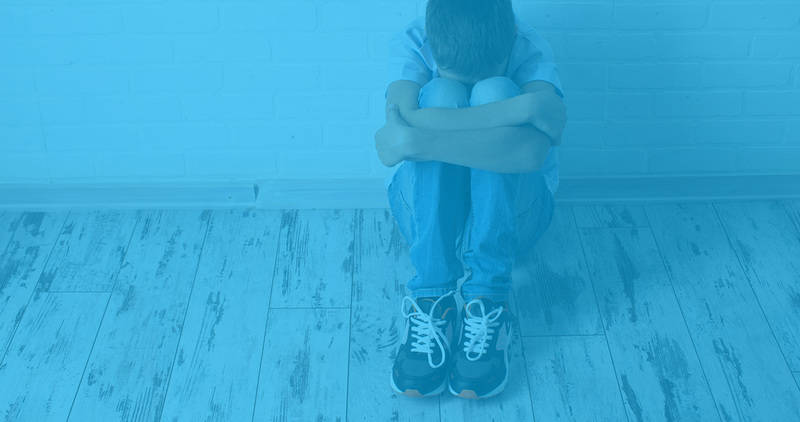 Some of the many issues that children and adolescents bring to CACS are depression, anxiety, difficulty with interpersonal relationships, loss, crisis, trauma, problems in school, and other behavioral issues. Connections for Life (CFL), partially supported by United Way, is a formal collaborative that serves young children who have experienced chronic and complex trauma. Its partners are Central Clinic Behavioral Health’s Child & Family Treatment Center, Cincinnati Occupational Therapy Institute, and the Hearing Speech & Deaf Center of Greater Cincinnati. CFL’s primary goal is to remediate the effect chronic trauma has on children’s development – ultimately better positioning them to be successful in kindergarten. Some examples of chronic and complex trauma include witnessing or being a victim of violence, neglect, sexual abuse, multiple foster-care placements, and/or prenatal exposure to alcohol. Consequently, these traumatic experiences impact the child’s development – making them over reactive to their surroundings and in some cases resulting in speech delays. These children also frequently have difficulty forming relationships with their caregivers and peers. CFL addresses the multiple treatment needs of these young children (0–5) by combining mental health services with speech and occupational therapies – all within a single 60-minute treatment session that allows the team of therapists, the child, and the parent/caregiver to meet together. This family centered, integrative approach ensures that children receive the therapeutic treatments that they need, and it allows caregivers to learn and practice therapeutic techniques. Some examples of these techniques include strategies for improving the child’s ability to form a relationship with the caregiver and ways to respond to the child’s temper tantrums, inattentiveness, or emotional detachment. The Ready to Learn School-Based Services (RTL), partially supported by United Way, provides and coordinates school-based behavioral health services and academic enrichment opportunities. RTL believes that all students will achieve academically and socially if given adequate support. Activities and services are designed to enhance the students’ strengths and reduce risk factors that are barriers to learning, allowing for social-emotional growth and academic achievement. RTL is designed to complement the Positive School Culture model with its Pyramid of Intervention, used by Cincinnati Public Schools (CPS). RTL is presently in seven schools within CPS and CISE (Catholic Inner-City School Education Fund). Central Clinic Behavioral Health provides programming to Greater Cincinnati area schools. Services may be short-term and community based and will provide a referral or linkage to further treatment, if necessary. All services are voluntary and require parental permission. Location: 512 Maxwell Avenue, Cincinnati, OH 45219. The Young Child Institute (YCI), partially supported by United Way, provides consultation, intervention, and clinical treatment services for children ages birth to five years of age and their primary caregivers. The services follow evidence-based models and are designed to enhance the social and emotional development of these very young children by strengthening parent-child attachment. In addition, the program educates parents and childcare professionals in supporting children’s healthy development. Emotional bonding is critical for children to succeed in pre-school and kindergarten. Research shows that the first three years of a child’s life are essential for healthy social and emotional development. In addition to site based work, YCI is also available for on-site interventions in over 30 preschool and daycare settings in the Greater Cincinnati area. The services are designed to reduce risk factors associated with abuse and neglect, and to strengthen the child’s protective factors, preparing him/her to be ready to succeed in school and life.